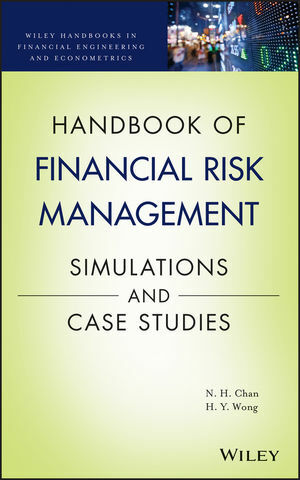 The Handbook of Financial Risk Management: Simulations and Case Studies illustrates the prac­tical implementation of simulation techniques in the banking and financial industries through the use of real-world applications. As a complete reference for practitioners, the book is useful in the fields of finance, business, applied statistics, econometrics, and engineering. The Handbook of Financial Risk Management is also an excellent text or supplement for graduate and MBA-level students in courses on financial risk management and simulation. N. H. CHAN is Choh-Ming Li Chair Professor of Statistics at The Chinese University of Hong Kong and Associate Editor of six journals. Dr. Chan is also the author of Time Series: Applications to Finance with R and S-Plus, Second Edition, published by Wiley. H. Y. WONG is Associate Professor in the Risk Management Science Program of the Department of Statistics at The Chinese University of Hong Kong. His areas of interest include data analysis, statistical computing, risk management, and stochastic calculus.